Cataracts are a very common eye problem. In fact, you have a fifty-fifty chance of having a cataract by the time you're 65. Once you're 75, it's almost a certainty that you will have at least one cataract. At New Vision Optical Wilmette, we help patients with cataracts every day. Here are a few common questions we hear about cataracts at our optometry office. A cataract is a build-up of protein in the lens of your eye. It makes your lens appear cloudy. Cataracts often occur naturally as a side effect of aging; they're most common in people over the age of 50. Smoking, diabetes, eye injuries, and excessive sun exposure can also contribute to the development of a cataract. If you have a cataract, it might not cause any visual symptoms at first. Over time, you might notice that your vision starts to appear cloudy or blurry. You also might notice a change in the way you see colors. Cataract symptoms usually become more severe over time. Aside from living a healthy lifestyle, there's not much you can do to prevent cataracts. Most people begin to develop them naturally as they get older. You can cut down on your risk by avoiding smoking, eating well, and protecting your eyes from the sun. Not all cataracts require treatment. If you can see well enough to carry out your regular responsibilities, you may not need to take any action. However, if a cataract has progressed enough that you're having difficulty seeing, your eye care professional may recommend surgery to remove it. This surgery involves removing your cloudy natural lens and replacing it with an intraocular lens. Cataract surgery is very common and safe. 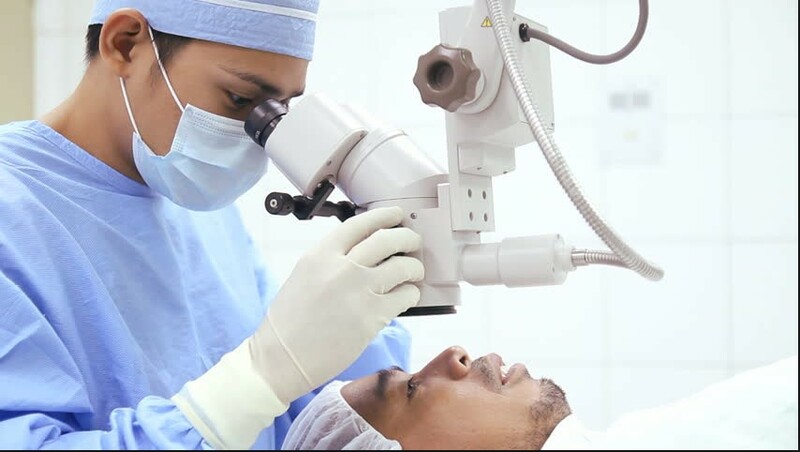 In fact, more cataract removal surgeries are performed every year in the U.S. than any other type of surgery, and there's a good chance that you know at least one person who has had a cataract surgically removed. Most people recover quickly from cataract surgery and don't experience any complications afterward. Of course, you should talk to an optometry professional if you have concerns about any type of eye surgery. New Vision Optical Wilmette can help you with all your eye care needs. We can monitor your cataracts, provide annual dilated eye exams, help you manage any eye diseases you have, and more. Call us at 847-230-4796 today to make your first appointment, and we will do our best to accommodate your schedule. We look forward to serving your family!